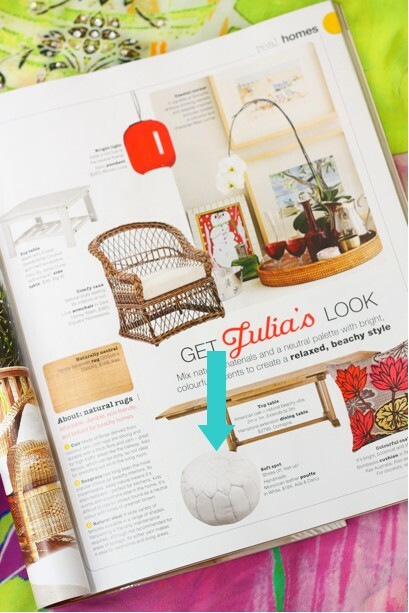 A big thank you to Sarah and Natalie from Real Living Magazine for selecting one of our delightful Moroccan Pouffe's in their February issue! And thanks to my darling friend Leah for spotting it first and letting me know. And, also, in this month's Shop Til You Drop, Sara has used our lovely milk bottles and one of my favourite ginger jars in the shoot - they have come up so beautifully and has given me inspiration for an arrangement for the weekend. Luke will be so pleased to know he will be my assistant at the flower markets this weekend - bless him! Congratulations! I know it made you feel really good. You are a famous girl now !! hahaahh!! and yes flowers are lovely i know that .....lol lol lol ......love Ria......like your Pouffe !! Thats wonderful Kellie! And I'm sure we'll be seeing alot more in 2011. That's fantastic! I'm not the best commenter - but I have been following your successes (I've even blogged about the shop before). So I felt I had to check in and give my congratulations on such great press. Happy 2011 and even more good things coming your way! Wow, thats exciting Kellie! I must go and buy the magazine (any excuse to buy a magazine will do!) Have a lovley day! Good marketing Kellie. This will just grow and grow. Got my issue on Friday and spied them. Was so excited for you. Well deserved. congrates! you must be proud! How exciting, congratulations! 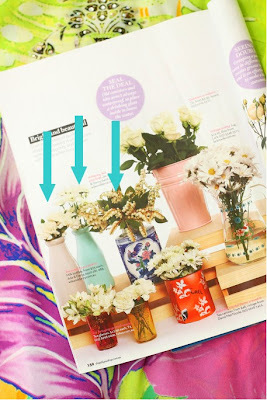 Must be thrilling when you see your stuff in these spreads - have fun at the flower market. How cool! Congratulations! Everything is beautiful. Your items look soo pretty in a magazine don't they! Congratulations, Kellie! When you have beautiful merchandise, the press and customers will follow! Hi Kellie, I nominated you for a Stylish Blogger Award. I love your style and I thought you would be perfect for this! Hi Kellie, I nominated you for a Stylish Blogger Award. I love your style and thought you were perfect for this! Kellie congrats!! Your shop is full of delights!! Do you know, i was just ogling that pouffe in RL! how very exciting! congrats and it looks wonderful. Kellie- A big congrats to you! The magazine layouts are beautiful! yes i saw it too!! congrats on the feature - awesome!